TravelEurope Antria hotel reservation service provides you with a wide variety of lodging and hotel options, from cheap hotels to luxury accommodation in Antria. Quick and easy hotel reservations with instant confirmation and great value for money whether you travel for business or tourism. Select travel dates and find all available hotels in Antria, check out guests reviews and locate properties on Antria city maps, book your favourite accommodation with no pre-payment. All rates are in Euros and inclusive of all taxes. 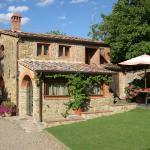 Tenuta Il Palazzo is a comfortable residence situated in a charming medieval village, near Arezzo. 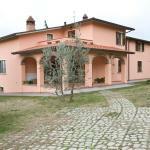 The property is surrounded by lush vegetation characteristic of the area.